HV Tester – Crest Test Systems Pvt. 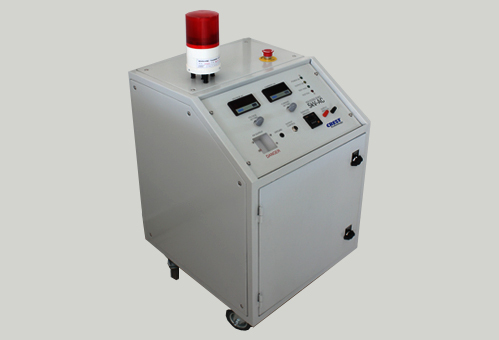 Ltd.
HV Test, which is also known as Hipot Test – short form of high potential – is used to test the insulation quality of the auxiliary circuit of circuit breakers. 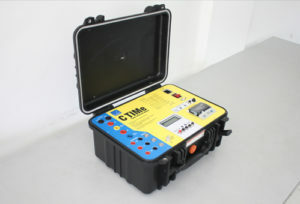 The HV Test is useful in finding damaged insulation, stray conductive materials around the conductors, and problems due to terminal spacing and tolerance errors in cables. 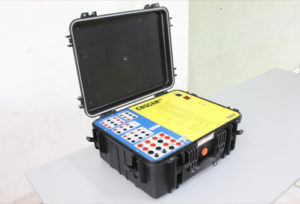 It also helps in detecting insufficient creepages and clearances introduced during the manufacturing process. 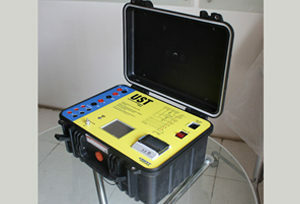 The HV Tester is capable of delivering variable output voltage of 500 V to 5 kV DC. It has a settable duration of up to 3 minutes. The trip current is settable up to 100 mA. 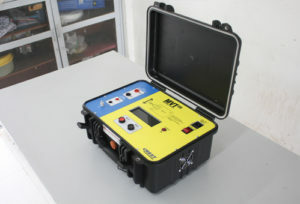 The HV Tester has specially designed test probes for making quick and firm connections to the circuit breaker. The superior design of the test probes ensures operator safety at all times.